The Reserve Bank of India unexpectedly cut its benchmark interest rate in Governor Shaktikanta Das's debut policy meeting, becoming the first in Asia to ease borrowing costs this year as inflation remains benign. The interest rate cut coupled with the budget sops would provide much needed respite to the borrowers irrespective of whether it is a auto loan, personal loan or home loan. Mr Das also hinted at more rate cuts in future as inflation is slowing down. This was also the last meeting of the MPC before the Election Commission announces the dates for the Lok Sabha elections. Previously, it had projected inflation in a range of 2.7 per cent to 3.2 per cent in the six months to March. 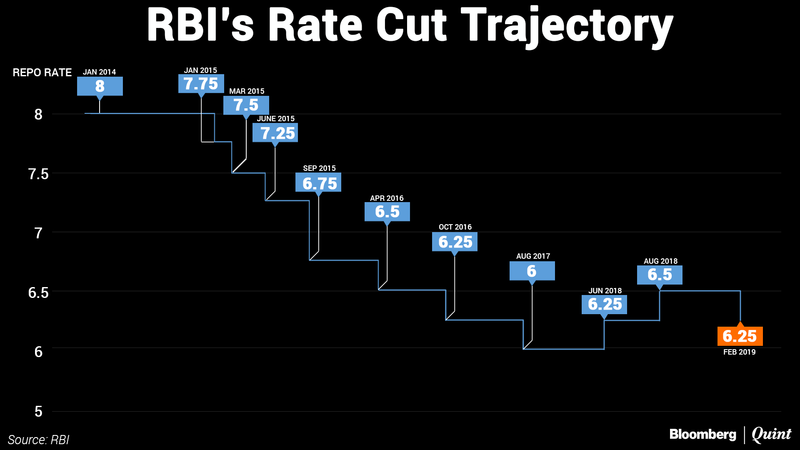 The cut came nearly a week after Modi's administration unveiled an expansionary budget, which included $13 billion of help for consumers ahead of the poll that's due by May, and days after an adviser to the prime minister said the RBI should ease policy. The decision "restores growth maximisation as a secondary objective of the RBI". Earlier, when Urjit Patel took charge as the RBI Governor, he shifted from the usual practice of announcement at 11 am and presented the fourth bi-monthly (his maiden) monetary policy review at 2:30 pm after the MPC meeting. "To see this as a capitulation of the government's demands is profoundly misguided", said Abheek Barua, chief economist of HDFC Bank.